Foundation Training On The Flat Is Essential For Every Successful Jumping Program!! 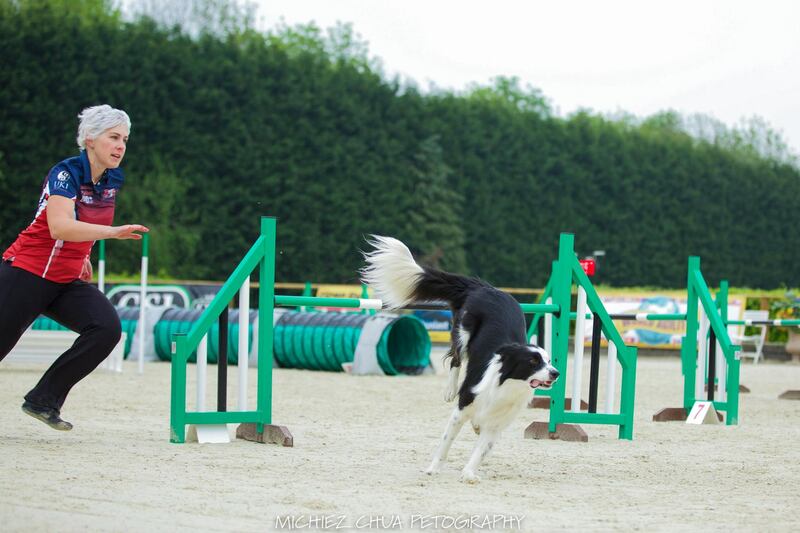 This course is designed to help you and your canine partner work through many of the most commonly seen cue combinations on agility courses today. Using Linda Mecklenburg’s “Skills Drills” sequences, originally seen in Clean Run Magazine, as well as new sequences designed by Daisy, you'll be challenged to perform a variety of cue combinations, which will provide you with a skills checklist. For each drill, you will be directed to perform a specific skill or combination of skills. The skills required are very basic at first, but quickly progress to an advanced level. You'll be encouraged to think outside the box! You'll be able to work through all of the skills to be sure that you have each one in your bag of tricks. As you do so, you'll be asked to think about your cue combinations and how they compare from skill to skill. The material in this course will provide suggestions for cue combinations that might be used as a guideline for each skill, but after this class, you'll be more than prepared to come up with some of your own. Most sequences are some variation of a few basic patterns. 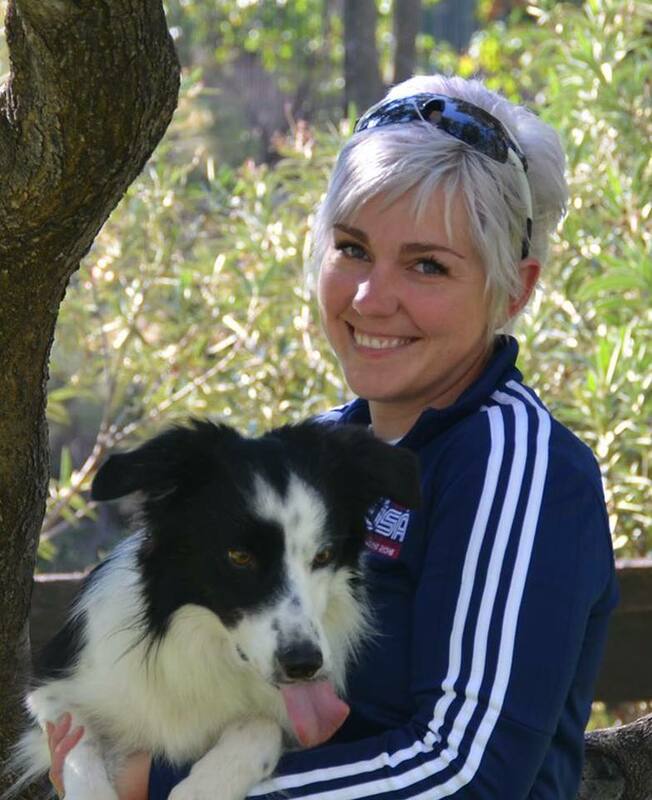 As a result of going through the Awesome Paws Skills Drills course and skills checklist, you and your dog will be comfortable with nearly all of those basic patterns, and you'll be able to more readily recognize those patterns, and variations of them, on course! Each module corresponds to a week - the course is approximately 8 weeks long. GET THE CONTENT AND PROGRESS ON YOUR OWN! GET VIDEO FEEDBACK FROM DAISY! This course is THE BEST for going through nearly every sequence you and your dog may see on course, using just one simple set up! Whether you're a novice or international level handler, this course will up your game! I go through this content with every young dog I bring up, and I also revisit it periodically to sharpen my handling skills with each dog! If you've taken the Awesome Paws Skills Drills course, leave a review below! I took this course when it was first launched with Linda Mecklenburg years ago and since then have done a multitude of other courses...I can honestly say that this is one of the BEST course EVER!! It comprehensively covers all the essential skills required in today's courses. The format allows a team to improve their teamwork, fluency and skills progressively. I still return to this course with both my young dogs and the older ones. If there's only one course you can do, do this one!! I agree, this is a GREAT course to really work out all the handling kinks! Dog Agility Sports is quite exciting sports. The more you are equipt with effective handling techniques the more enjoyable the sports are. Levelling up the techniques require continuous study and training. 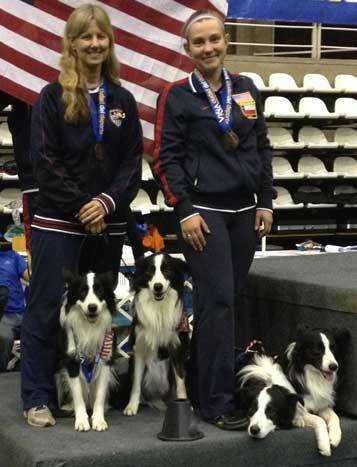 Good to hear that Daisy Peel On-Line Classroom innovate a class that will surely help to all Dog Agility Enthusiast. Truly, Agility is fun. LOL, I'm such a curmudgeon, I hate giving fancy names to things; I much prefer descriptive names. BUT, you'll find that a lot of the 'fancy' moves you see really are just combinations of basic moves implemented in novel ways - and you'll learn all those basic moves PLUS the 'fancy' combinations in this course! I recommend this class to everyone. When I see friends and people just starting a new dog in agility I direct them to this foundation. You will understand how motion effects our dogs and the crosses are performed. In a secondary benefit, your dog is gaining rear end strength.